When it comes to playing roulette, you will not find anywhere in the US with more roulette tables than Las Vegas. The vast majority of casinos –both on the strip and off-strip– will feature at least one table. In general, you’ll find two types of roulette in Las Vegas –the single zero and double zero games. Keep reading to learn the best tips about casino roulette, and the best places to play in Vegas. This game is also known as American roulette. It is by far the most popular variety of roulette you’ll find in Las Vegas. Casinos will usually offer cheap stakes to players. You could even find games with stakes as low as $1 minimum roulette Vegas tables. Important: The house edge in this game is 5.26%. This game is also known as European roulette. There are less of these roulette tables in Las Vegas. The ones which are available will generally be reserved for those wanting to play games with higher stakes. Important: The house edge in this game is 2.70%. Due to the large difference in house edge, we would advise playing at the single zero games. Here is a list of single zero roulette games you’ll find in Las Vegas. Aria – This casino features two tables with a $25 minimum which are available at all hours. The casino also has two $100 tables which will open depending upon demand. Bellagio – You’ll find three single zero games in the Bellagio. There is a $50 table minimum for the one wheel on the main casino floor and a $100 limit for the two in the Baccarat room. Caesars Palace – You’ll find a $100 limit at the one zero game in the high stakes section of the casino. Cosmopolitan – Like Caesars Palace, you’ll find a $100 minimum limit table available 24 hours a day in the high limit area. Encore – There is a $100 minimum limit here, but occasionally you’ll find a game for $25. The M Resort – You’ll find games with a smaller limit of just $10 or $25 on the main casino floor here. Mandalay Bay – This is another casino with a $100 minimum limit in the high limit section of the casino. MGM Grand – You’ll be able to play single zero roulette with a minimum stake of $25 here 24 hours a day. Play in the Mansion has a limit of $100. Mirage – You’ll find two single zero wheels at this casino – one on the main casino floor and the other in the high limit section. Both of these games have a minimum limit of $25. 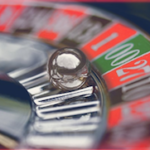 Monte Carlo – You’ll be able to play single zero roulette with a minimum stake of $25 upon request. Palazzo – Tables with a limit of $25 are available on the main casino floor, and games in the high limit pit for $100 upon demand. Paris – Games with a limit of $100 are available upon demand. Planet Hollywood – Games with a minimum limit of $100 are available on demand in the high limit area of the casino. Riviera – Here you’ll be able to play games with a minimum limit of just $5 and $10 twenty-four hours a day. Wynn Las Vegas – Games with a minimum limit of $100 are available twenty-four hours a day, although occasionally you’ll be able to play for as low as $25. You’ll find a great number of double zero games available in Las Vegas. Unfortunately, your average gambler has no real idea of house edges or odds –and will not be reading the advice on these pages– so, the casinos happily lay on many tables with two zeros. Whilst these tables remain busy, this doesn’t fare favorably for the player, in comparison to other versions of the game. You’ll find these double zero games at the majority of the casinos mentioned above alongside the European games. Downtown you’ll find that you can easily find many low limit tables where you’ll be able to play happily for stakes as low as $1. One particular rule you’ll be able to find at some locations is the La Partage rule. This rule gives players half their stakes back when the ball lands on one of the zeros. You’ll find double zero games where this rule is available. This actually lowers the house edge to 2.63%, which is actually lower than the European game. Once again, this game will only be available to high stakes roulette players, and you’ll find games at the Bellagio, the MGM Grand, the Rio and the Wynn Las Vegas. TIP: When given the option to play roulette in Las Vegas, always play European roulette. 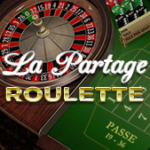 However, if you want to play American roulette, make sure to take advantage of the ‘la partage‘ and ‘en prison‘ rules. 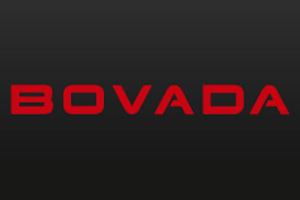 Bovada is the biggest and the best US online casino. They have easy deposits, generous promotions, and a great selection of single zero and double zero roulette games to play for real money online. 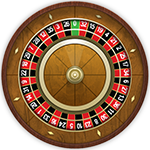 You will also enjoy playing roulette wheels on mobile, either on your iPhone or Android smartphone. Check out bovada.lv to play American roulette online.